With more than 3,000 new residential units and nearly 300,000 square feet of retail space approved or in the pipeline, Doral is sure to hold its place as one of the country’s fastest-growing cities. Perhaps the most significant project is Downtown Doral South, which will occupy a 130-acre parcel east of Northwest 87th Avenue and north of Northwest 41st Street, said Julian Perez, director of the city’s Planning & Zoning Department. Buildout is set for 2020. “The overall development program for Downtown Doral South consists of up to 2,209 residential dwelling units; 30,000 square feet of retail and commercial use; and 150,000 square feet of office space,” he said. In addition, up to 7 acres has been set aside for a school, performing and visual arts auditorium, and civic uses; and nearly 8 acres will be public recreational land, he said. 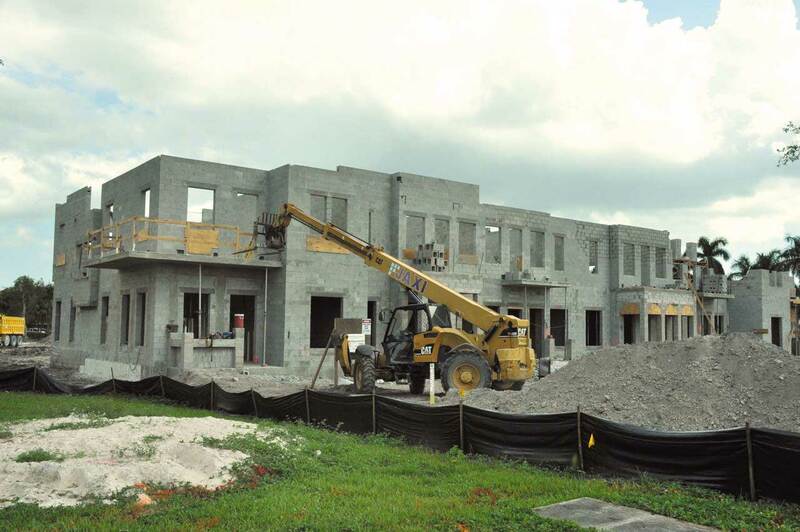 The school is being built to accommodate 1,300 students in grades 6-12. An office park at 3900 NW 79th Ave. and an adjoining restaurant at 7905 NW 36th St. will be redeveloped as Atrium, which will include 350 residential units and 81,271 square feet of retail. Doral 4200 will add 250 housing units and will occupy a parcel on Northwest 41st Street between Northwest 107th and 109th avenues. Sanctuary, a mixed-use project at Northwest 41st Street and Northwest 94th Avenue by Shoma Homes, has been approved for 226 residential units and 26,942 square feet of retail. Grand Doral I and II, which will occupy a 10-acre tract on Northwest 82nd Street between Northwest 82nd and 112th avenues, is to include 195 residential units and 11,771 square feet of retail space. Doral Park Plaza, at 8395 NW 53rd St., will add 7,580 square feet of retail; Baywood, at 8001 NW 36th St., will include 6,500 square feet of retail. Landmark South, at 6055 NW 105th Court, is in the design phase but is expected to incorporate 60,000 square feet of retail. Under site plan review are retail projects being planned by Doral 87th LLC (48,375 square feet at Northwest 87th Avenue and Northwest 58th Street) and 97 Property LLC, which plans to add 37,845 square feet at Northwest 97th Avenue and Northwest 58th Street. Healthcare facilities include Doral Medical Plaza, a six-story medical office building at 10305 NW 58th St., and Jackson West, a 275,000-square-foot medical complex at 7800 NW 29th St.
On the municipal side, the city has built Doral Legacy Park, set to open this month, and plans to add several other parks and a new police station. The only category that has seen no action is the office sector. No purpose-built office buildings are on the horizon, Mr. Perez said.